During testing the saw blade is rotated slowly by hand. 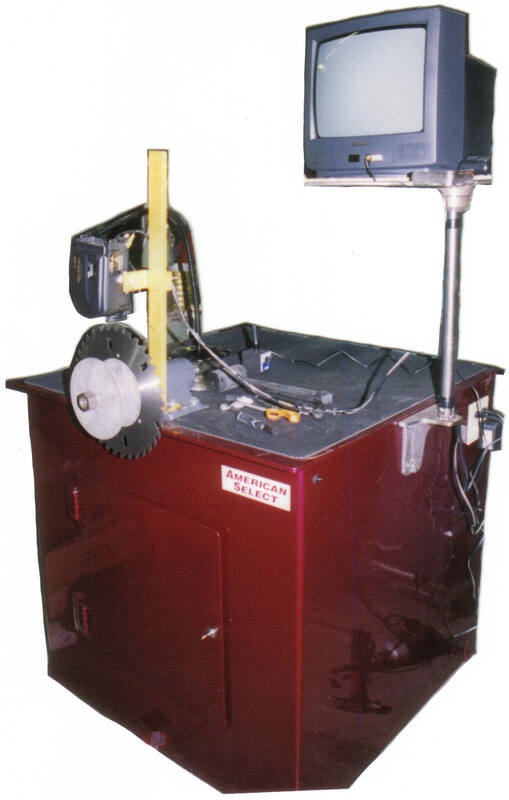 When the saw blade exceeds the limit of the pre-imposed lines, the blade is straightened by a bending process. We recommend the blade be inspected first in the hammer room and the major straightening be done there with straightedge and non-marring hammer. Tension is then applied to the blade by means of an Amstrong Stretcher Roll. The Visual Comparator is used for fine tuning and insures that the teeth are all in line. Minor bending is done at this time if needed. This machine was built by NEWTON SAW & TOOL, INC. to be used exclusively by our facility.